Clayfest 2018, Come and join us to meet a new network, for knowledge, skills, discussion and inspiration. Clayfest 2018, 24-29 September, Irish National Heritage Park, Ireland. Hello Earth Building enthusiasts, and welcome to this year's EBUKI Clayfest! 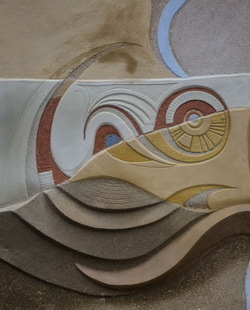 - International Festival of Earthen Architecture in Wexford, Ireland. This year we want to combine teaching core skills at beginners, semi-skilled and skilled levels with a spirit of curiosity and invention. Earth building is having a renaissance with people trying many new ways to work with some of the oldest materials and techniques. From the structural to aesthetic, thermal properties to colour we hope to encourage and show that earth in buildings can exceed all expectations. At past Clayfests, we have built (among other things) a rammed earth vault, a mobius strip in cob and Scotland's first turf wall in centuries. This year, what will it be?! 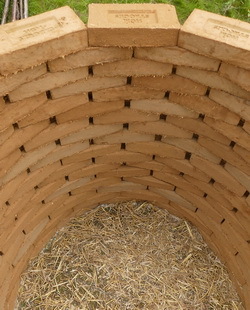 We have 7 different earth building techniques on offer this year at Clayfest, from cob to wattle-and-daub, from decorative plasters to turf, from earth block to clay-hemp. Click HERE to find out more. Be sure to keep on scrolling down for information on all of the workshops. All Clayfest workshops and Conference are Engineers Ireland and RIAI CPD Approved. 6.5 CPD hours per workshop. 6.0 CPD hours per conference. After a week of inspiring workshops and talks, let your hair down, get your dancing shoes on and have the craic with your new best friends at our annual hooley. Enjoy dinner and a bit of a céilí in the atmospheric surroundings of the Crannóg. CContact feile@ebuki.co if you need assistance (we might be able to help, but we might not!). You are welcome to join this workshop for one day or for more. Join in on any day. Bill and Athena Steen – Authors of ‘The Strawbale House’ and ‘Earthen Floors’, U.S.A.
Building with Stone and Earth Mortar. We’ll let you in on a secret. Thousands and thousands of our traditional stone cottages were built with mud mortar, not lime. Tried and tested for centuries, earth mortars are surprisingly robust and enduring. Build a mud-bonded stone structure under the expert eye of local mason, Brian Tobin. 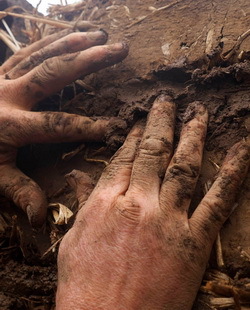 Cob (or mud/mudwall, as it is sometimes called in Ireland) is probably one of our best known earth building techniques and is a firm favourite among eco-builders. This exciting workshop ticks another environmentally-friendly box by incorporating common waste items, such as plastic bottles, into the structure. CAT lecturers are renowned for their experimental approach to projects; Louise Halestrap and Lizze Wynn are no exception. Lizzie Wynn and Louise Halestrap – Centre for Alterative Technology, Wales. Turf Walls and Turf Roof. In bygone times, turf homes were considered the fast-track and affordable housing of the day. They have since disappeared from land and memory. However, thanks to links with Icelandic turf builders, a revival is underway in Scotland and Holland. This workshop has been cancelled due to circumstances beyond EBUKI's control. Mudwall (or cob as it also known) is a surprisingly durable material. And even when it does fail, it is almost always repairable, often with the original material. There are hundreds (and possibly even thousands) of traditional earth-built homes hidden all over Ireland. Learn about some of the most common causes of mudwall failure and how to fix them under the guidance of Mud and Wood’s Colin Ritchie and Féile Butler. This workshop will build on the previous day’s activities. You are welcome to join this workshop for one day or for more. Join in on any day. Please note that there will only be a very brief recap on the techniques taught on previous days. Professor Tom Woolley is no stranger to championing innovation in natural building. This cutting-edge technology combines all the health benefits of clay with the insulating properties of hemp. In his clay-hemp workshop, explore the ways that this ancient material can be adapted for contemporary use. You are welcome to join this workshop for one day or for more. Join in on any day. The content of the workshop will be repeated every day, but different mixes will be trialled each time. 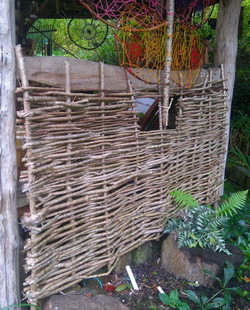 Wattle and daub is probably one of the oldest earth building techniques used in Ireland. Woodsman Niall Miller will show you how and when to harvest hazel and willow, how to grade it in preparation for wattle construction, how to build a wattle wall, and how to mix and apply the daub. With tips covering everything from health and safety to the aftercare of the wall itself, this one-day course gives a complete overview of this ancient method of construction. You are welcome to join this workshop for one day or for more. Join in on any day. The content of the workshop will be repeated every day. Discover the joy of clay blocks – quick, recycleable and low carbon – and work with a wide range of finishes. Tom Morton and Becky Little have been getting their hands mucky for 25 years in new eco-buildings, repairing traditional structures, research and training. In their workshop, the pair will draw inspiration from the Irish landscape to build a cluster of earth block forms finished with natural materials such as sand, shells, heather, seaweed and straw. Monday and Tuesday will focus on corbelled form making, with finishes building up through the week. Tom will be there all week, Becky on Wednesday and Thursday, and they will be joined by other guest craftspeople on different days. Join us to experience the potential of earth sculpture in this workshop for one day or the whole week. Becky Little and Tom Morton – EBUKI, RebEarth and Arc Architects, Scotland. Sewn Reeds and Earth Plaster Pavilion. 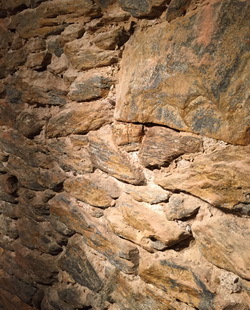 Reeds-and-plaster construction is an ancient tradition in Spain, but unknown in Ireland. Be part of a collaborative design process. Learn how to select, prepare and assemble the reeds into a stand-alone organic structure. Make and apply a naturally water-resistant earth plaster. Will this pavilion stand up to the Irish rain? We can’t wait to find out. Ulrike and Thomas Riedmuller, Monday to Thursday September 24th to 27th. These veterans of Irish earth building will run a cob-based work party during Clayfest. A meitheal is an Irish tradition, where a group of people come together to work towards a common goal. The cob meitheal will be an informal set-up. It cannot be booked in advance and will be open to all passers-by, subject to space. It’s a chance to get your hands mucky and get a feel for mud without committing to a full workshop. Stay for a few minutes or a few hours, but please be mindful of others who might want to join in. Please note that this is not a workshop. 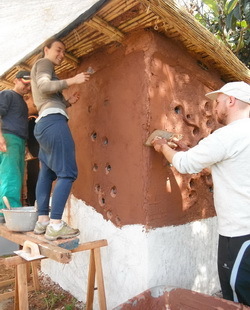 While it will be hands-on, Thomas and Ulrike will not be teaching the specifics of cob construction. Price: Free – if people are waiting, you may be asked to give up your spot. This will be EBUKI’s 10th annual conference. The theme this year is the ‘Secret Life of Earth’. Up for debate could be topics such as our hidden earth-built heritage and how to increase its visibility, innovations pioneered by under-the-radar builders, will contemporary earth building remain in the margins, the role of water in earth at a microscopic level and much, much more. More information on our homegrown and international speakers and their presentations will follow.